We have some sad news to share with you. Please, before you read on, do us and yourself a favor and take a seat. Take a deep breath because this is going to sting a little: your beard, and everyone else’s too, isn’t perfect. Sound the alarm! That beard of yours, it’s uneven, inconsistent, and really more contained than actually controlled and really, those are the thickest and fullest beards we’re talking about. For those of you who happen to sport slightly patchier face manes, well, that brings up a whole other set of issues. Believe it or not, just like Rome itself, the most perfectly full and prosperous beards were not grown in a day. No one grows an even, thick beard on their first grow-around. These things take patience, time, commitment, and a little bit of trickery in order to achieve the look you’re aiming for. So have no fear, slightly-patchier-beard-than-you’d-like-guy, we have some tips to help get you on your way to a thicker beard in no time. So you’ve tried growing your beard out before and it ends up looking more jigsaw puzzle with missing pieces than thick and fertile man mane. We understand and, more often than not, we’ve all been there. Very few guys grow thick beards for the first few years after they start producing facial hair and it can take years before you’re able to sew the seeds of your genetics. The simple truth is: the more you let your beard grow out, the thicker it’ll continue to grow. Combine that with maturation and over time many of the patches you might experience early on will slowly start to fill in and your mustache might just end up connecting with the rest of your facial hair over time. Like all good things, a fine whiskey or a truly beneficial romantic relationship for example, growing a hearty beard is a labor of love, but it always pays off in the end. Just like with gardening, oh yes, growing a hearty beard starts with healthy skin. If you don’t take care of your skin, how can you expect to grow a healthy beard? Beards are great for many things, but they also happen to trap dirt and oil over time, which means that using a beard wash is essential for maintaining healthy facial hair and skin. Washing your face from time to time will help exfoliate the skin and open up your pores, which in theory should help spark increased beard growth over time as well. Simply put, cleaning your face regularly should help produce a thicker and fuller beard. As with so many things, building a strong foundation always pays off over time. This is important and an often overlooked aspect to looking your best. If you're eating unhealthy foods you aren't giving your body the leg up it needs to give you the best it can. I recommend eating plenty of nuts, protein, fruits high in Vitamin C, leafy greens, and if need be, take a daily multivitamin supplement if you still aren't getting enough nutrients. I'm sure you've heard this before, but drinking plenty of water is also a must to keep yourself hydrated and healthy. The normal recommendation is to drink about a 1/2 gallon a day, but best practice is to pay attention to what your body needs and drink the amount that's right for you! Weight lifting and cardio is a great way to build up your testosterone naturally. You don't have to go over board, the main goal is to keep yourself fit and in shape. Just like eating a healthy diet and staying hydrated; exercise will give your body the best chance it has to look and feel good, which includes your hair growth. You can't change your genetics, but try to give yourself the best shot by taking care of yourself. Do you own a beard brush? What about a comb? If you answered no to both of those questions, then we highly suggest you change that as soon as humanly possible. Beards are prone to grow in any direction they see fit, regardless of how hard you try to do otherwise. Besides growing at different lengths from your cheekbones to your chin to your jawline, beard hair also grows in different directions, often times leaving your beard looking like you slept on it awkwardly regardless of the time of day. The best way to combat this? Using a brush or comb to more evenly distribute your facial hair and therefore making your beard appear inherently fuller. Will it feel a little strange at first? Most certainly, but before long combing your beard out will be second nature and it’ll be looking better than ever. 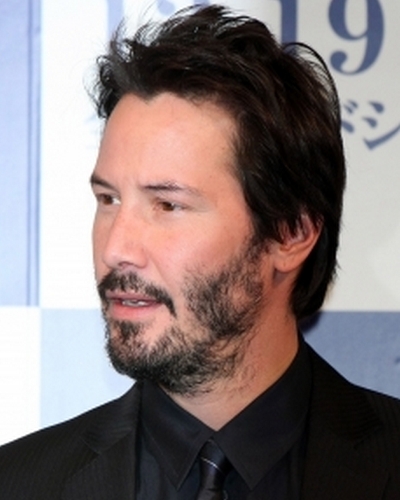 We here at Urban Beardsman will always support you in your attempts to grow a fuller, thicker, and longer beard, however, there comes a time for some when all of the products, tools, and patience simply can’t out smart genetics (see: Reeves, Keanu). We know that this isn’t a fun realization to have, but just because you can’t grow the most epic beard of all time doesn’t mean you still can’t be part of the beardsman community. Like we always say, being a beardsman is all about being confident and believing in yourself so however you feel most comfortable, whether that’s by keeping your slightly less full beard at a short length or continuing on in your quest for thicker pastures, we salute you. Go forth, young squire, and keep fighting the good fight. Or don’t, that choice is simply up to you. God speed. One of the most common questions I get asked is, "How do I make my beard thicker or fuller." Well, my suggestions are normally based around maximizing your own beard's genetics. You do that by boosting your natural testosterone - which means eating right, exercising and living weights, taking appropriate supplements like biotin and fish oil, and lowering your stress and other poor habits. If you've absolutely maximized your beard growing potential and you are into your 30's then maybe you can start to consider options that will help give you a fuller thicker beard. You have pretty much two options, one is to take minoxidil (aka Rogaine) and the other option is to get hair implants. With minoxidil any hair that grows when you take it will fall out when you quit taking it. It also comes with some side effects; like any other drug. With a beard implant you'll find the cost to be pretty expensive. I've heard it can be anywhere from $5k to $20k to get the treatment done. Of course those come with a lot of pains of surgery. As always, our best suggestion is to embrace who you are and the genetics that you've been dealt. You're beard is truly unique to you and makes you who you are.